Can I use a creatures morph cost in I manifest it? Does Darkest Hour affect cards in hand or graveyard? When Ruthless Ripper is turned face up, target player loses 2 life. I am currently working on a deck somewhat similar to this one which has a low land count and expects a lot of its own creatures to die. I'm not sure how important modernity is to you, but I think that Ruthless Ripper is just a little bit better than Hired Poisoner. With the former, you can still cause your opponent pain without relying upon combat. I'd replace the Hired Poisoners with Ruthless Rippers if I were you. Even if you do nothing but sack him to feed another card's ability, you'll still make your opponent lose 2 life. You will almost always have black cards in your hand to use that ability, and having the card in your deck with more ways to hurt your opponent is almost always better. Thank you both for your help! My major problem with the deck right now lies with Vraska the Unseen. 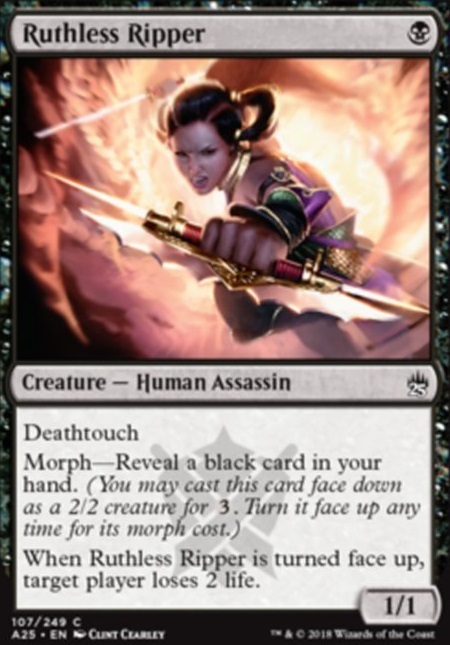 I would like the deck to work with her, in addition to some of the other deathtouch creatures, and then overwhelm the enemy with Vraska's -7 ability combined with deathtouch creatures, given trample by Nylea, God of the Hunt. I'm not sure how it would be best to achieve that, however. First off, what creatures should I remove? I want to include Ruthless Ripper and definetely Pathway Arrows but I'm not sure if I should focus on removing the more or less expensive cards. 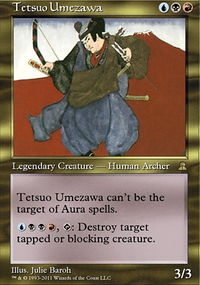 I need more inexpensive cards, but the smaller deathtouuch creatures use trample less effectively. Additionally, should I use Fog? I'm just not sure if it works well with the deck. Could someone please explain why it does? Finally, should I utilize the -1/-1 features of Hapatra, Vizier of Poisons as the player above suggested, or does it not mesh with the deck? Nylea, God of the Hunt would create death tramplers in which each deathtoucher would deal one damage to the blocker and the rest wold spill over. Above all else you need to lower your curve. The more one mana deathtouchers you can play the better. Ruthless Ripper is the queen of them as it’s an ambush, burn and gives the finger to combat all in one. These decks are supposed to be aggressive and not controlling. The control is just a side affect of not wanting to block. Lastly in place of the enchantments I’d go with 4 Fog for a counter swing. Ruthless Ripper is a "one mana kill spell" which gives you devotion and a bit of reach. 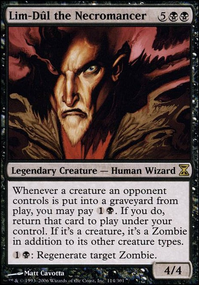 Graveyard Marshal can give you some graveyard recycling. 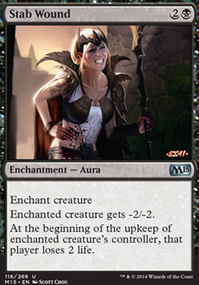 Gatekeeper of Malakir is an easy two for one against creature decks. Especially good against boggles. Bloodghast could be used as a steady stream of attackers. 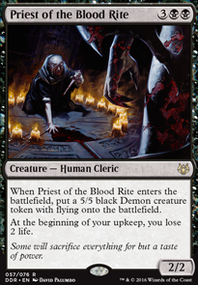 Plague Mare was always a good one of sideboard card for me. And one funny thing: Torment of Hailfire is really awesome with Nykthos Mana. With two Urborg I would play three Nykthos.